Hello! I'm Matt. 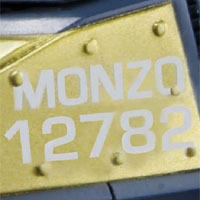 I'm Monzo. I lived on Guam for a bit, but have been in Florida for a while now. Transformers? ... yeah. See the homepage link. I'm more apt to extoll Skids - or Skid-Z - or Salt-Man Z - than any of the more well-known guys, but that comes with the territory. As a result of my various TF-related efforts, my screen-name and birthdate are on Transformers Universe Onslaught. That was pretty nice of Hasbro to do! I hang out at the TFWiki, but my attention there tends to wax and wane. I am also interested in various 1980s toylines and obscure-ish animation, and may post things related to those pursuits in the future. I mostly signed up to blogspot because Derrick Wyatt doesn't have a LiveJournal. That scamp! I am way too accomodating.